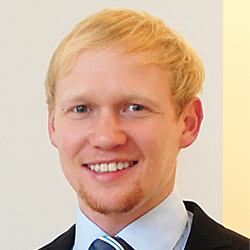 After graduating with a master’s degree in industrial engineering, Jonas Ullrich started at 4flow in 2014. In the business development team, he is responsible for managing and optimizing business processes for 4flow’s supply chain management teams. He contributed to the conception and development of the 4flow vista® exception management module, which is based on Jira Service Desk and led several projects to implement the module in different teams within 4flow.